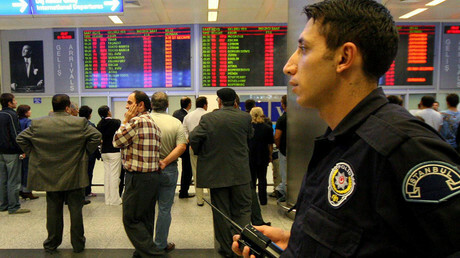 On Wednesday, the Turkish higher board of education banned all academics from traveling abroad. 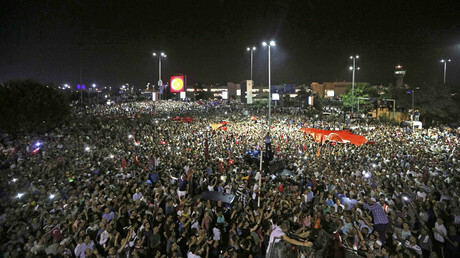 An official told Reuters that it was a temporary measure to prevent any alleged plotters behind last week’s failed military coup from escaping under the pretext of professional duties. “It is a clear and serious attack on academic freedom,” Professor Fiona de Londras, Chair of Global Legal Studies at the University of Birmingham’s law school, told RT. Professor de Londras launched a petition on change.org calling for the immediate revocation of the ban and defending academic freedom in Turkey. “It is not unprecedented … it is a relatively standard step in the development of autocratic regimes to undermine critical spaces like universities by making it almost impossible for academics to do their job freely and openly,” Professor de Londras stressed. Despite such reasoning, the move does not only severely affect the work of academics, but also gives the impression that it is part of the government’s current campaign to purge all free-thinking in the country, she said. “I understand it has been explained as a measure to try and prevent people who may have been involved in the failed coup from fleeing abroad under the guise of professional activities. “Nevertheless it completely undermines an enormous part of academic work which is to engage with people internationally to share ideas and challenge conventional wisdom,” she said. Professor De Londras says her petition is just one of several current measures which express solidarity with academic colleagues, aimed at pressuring President Recep Tayyip Erdogan to rethink the approach. The author says she doesn’t harbor hopes that the petition will even reach the Turkish President, but she points out its importance nonetheless as a tool of attracting attention of the global power-bearers to this case of freedom abuse. 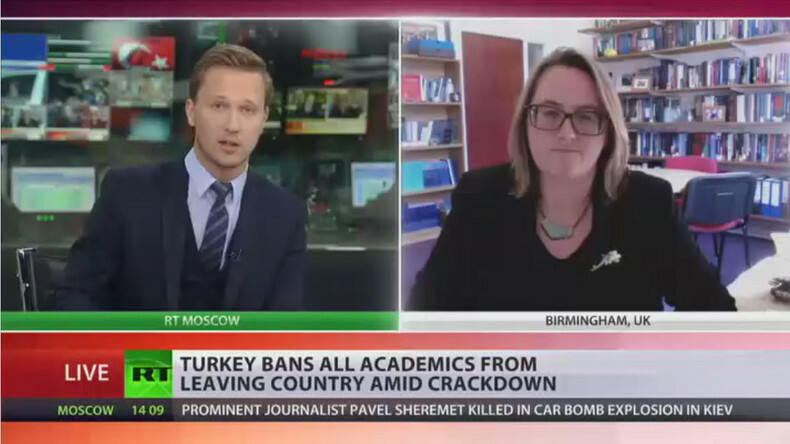 “The fundamental nature of academic freedom [is] to build and sustain a critical democracy – either in Turkey or elsewhere,” she told RT. But Professor de Londras does not expect much impact, but it still can achieve something. “First, the growing pressure from academics and universities around the world … may result in other governments and international organizations, such as the Council of Europe, reiterating to President Erdogan the importance of freedom of expression and association. “Second, the potential impact which is not at all unimportant is the clear expression of solidarity with our colleagues in Turkey … so that they are aware that academics around the world stand with them as they continue to work in very difficult circumstances not only to ensure high quality of education to university students within Turkey, but also to enrich and sustain a critical democratic space in Turkey in this difficult time,” said Professor de Londras. Meanwhile the Council of Europe’s commissioner has called on Turkish authorities to stick to human rights and democratic principles. "The authorities must bear in mind that there is no justice without human rights and the rule of law,” Commissioner for Human Rights Nils Muiznieks wrote in a statement, adding that mass arrests, suspensions, and allegations of torture raised great concerns. The travel ban is merely one in a series of measures that are currently being implemented against Turkish academics, the others being the dismissal of some 1,500 university deans across Turkish universities, also amid the purge that followed the coup attempt. The latest move saw Turkish authorities suspending around 6,500 employees of the education ministry and closed 626 institutions, according to various reports. As of now, around 50,000-60,000 soldiers, police, civil servant and teachers have been targeted by the checks or suspensions launched by the Turkish government. Dr. Kenan Engin, a Turkish academic who lives in Germany and has been prosecuted for launching a petition against war in Turkey, told RT that he expects more to come. “That’s not the first step. And not the last. The next one will be to replace academics who are currently asked to step down with the people loyal to the current government,” Dr. Engin predicted.